Wabash Center’s collection of books, articles, and websites about teaching in theological and higher education. This excellent resource helps school leaders promote a culture that encourages lasting professional development. Each chapter presents practical concepts and strategies that can occur in and out of the classroom. Educators share specific experiences and examples, showing each skill in action. School leaders will learn what strong teacher peer "consultants" actually do that leads to improved teacher confidence and motivation, enhanced trust and mutual respect, and reflective instructional behavior among their colleagues. These cost-effective, authentic strategies will build camaraderie and leadership in your school, engaging colleagues as a team in the vital mission of all schools-educating our youth. Contains several versions of a rubric designed for peer review (and thus design and development) of online courses. Includes annotations demonstrating the criteria in practice. Formally known as a “Small Group Instructional Diagnosis” (SGID), specialists from the Illinois State Center for Teaching, Learning and Technology visit a classroom and interview the students in a consensus-building process that enables instructors to gain insights into students' perceptions about the class and their learning. 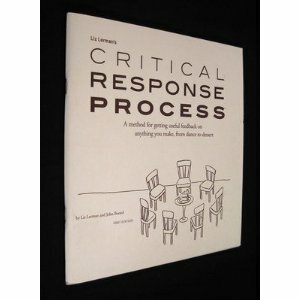 Liz Lerman's Critical Response Process is a multi-step, group system for giving and receiving useful feedback on creative processes and artistic work-in-progress. Originated in the early 1990's by choreographer and MacArthur "Genius Grant" Fellow Liz Lerman, the Process has been widely embraced by artists, educators, and administrators. It has been applied in such diverse contexts as choreography classes, post-performance discussions, actor/playwright collaborations, curatorial decision-making, and university level curriculum assessment. In addition to reflection on the work at hand, the Critical Response Process affords artists a voice and a degree of control within the critique of their work promoting dialogue with audiences, fellow artists, students, mentors, and other colleagues. Teaching, Learning and Research in Higher Education offers a combination of critical perspectives and practical advice that is ideally suited for individuals interested in enhancing their practice through analysis and critique. The aim is to promote a critical understanding of one's own practices: to foster personal and professional formation through a reflexive engagement with one's environment and circumstances. At a practical level this means to continuously think about how to adjust practice rather than following a formulaic approach derived from any particular educational theory. Teaching, Learning and Research in Higher Education argues that academics can find space for their own agency in the midst of institutional policies and practices that serve to frame, as well as delimit and constrain, what counts as good academic work in teaching and research. This text bridges a gap between those books that provide a high-level analysis of contemporary higher education, the more practical texts on how to be a good teacher in higher education, and those texts which aim to improve teaching through better understanding of the learning process. Teacher-learner relationship, Learning groups, Practice-oriented learning, Teaching for diversity, e-learning, Assessment, Approaches to Staff Development, Quality assurance, Supervision and Research education, Doing research, and Teaching & Research. A must-have resource for higher education professions, academic developers, professionals, and anyone looking to improve their teaching and learning practices, Teaching,Learning and Research in Higher Education is also appropriate for continuing and professional development courses in the UK and teaching and learning courses in the US. 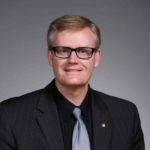 Mark Tennant is Dean of the University Graduate School, University of Technology, Sydney. Cathi McMullen is Lecturer in the School of Marketing and Management at Charles Sturt University. Reviews 20 principles or steps in an effective faculty evaluation system, arguing that while most institutions’ claim that the purpose of their fculty evaluation system is the improvement of teaching, the primary purpose is actually almost always to make personnel decisions. Idea Paper no. 33, from the series developed by the Center for Faculty Evaluation and Development, Kansas State University. The University of North Dakota provides this online “handbook” to its faculty to help them navigate the university’s teaching evaluation process. The site provides lots of helpful reminders of what to keep in mind when critically evaluating your own teaching. University of Texas guidebook for teacher portfolio. "Packet on the Teaching Portfolio"
What is a Teaching Portfolio? What Goes into a Teaching Portfolio? Teaching portfolios: formatively, the portfolio helps you reflect systematically and regularly upon your teaching; summatively, portfolios provide a much more comprehensive and accurate picture of your teaching than any other single device. Describes the seven areas that should be considered when evaluating teaching: subject matter mastery, curriculum development, course design, delivery instruction, assessment of instruction, availability to students, and administrative requirements. Idea Paper no. 21, from the series developed by the Center for Faculty Evaluation and Development, Kansas State University. 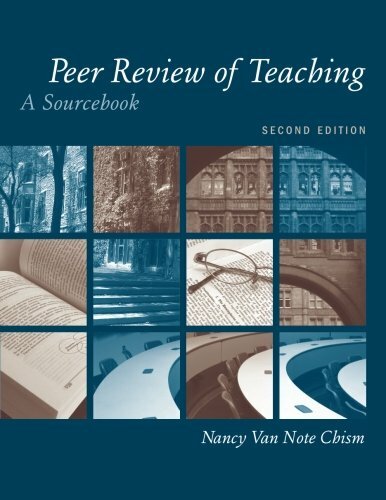 Peer review provides informed considerations of a candidate’s teaching that student ratings cannot address: breadth, depth, and rigor of course objectives and materials; patterns of and procedures for course management; and a contextualized sense of the interactions between teacher and students as a whole. Abstract: This book is designed not only to provide you with a tightly focused set of strategies, selecting only the most fundamental and powerful, but also to offer you a user-friendly method to access your level of success through employment of the strategies. With the authors’ goal of measurable self-improvement in mind, they’ve developed a set of rubrics keyed to each chapter, allowing you to assess where you currently stand as an instructor. Using a Likert scale, the rubrics ask you to evaluate such things as your attitude toward teaching, your alignment of student learning outcomes (SLOs) in your classes with those of larger academic units, and your delivery of class material. At the book’s end you’ll find a series of rubrics that replicate those in the earlier chapters. Comparison of your responses after experimenting with the various strategies offered throughout the text should provide a solid assessment of the handbook’s effectiveness. Very helpful overview, followed by more detailed and extended discussion as well as references. Walks through the entire process, covering issues such as: peer observation versus peer evaluation; formative versus summative peer observation process, key issues to remember, recommendations, etc. Exhaustive list of scholarly papers and websites (some with annotations) that deal with this controversial issue. Reviews scholarly literature to recommend how to use student evaluations effectively to improve teaching. Idea Paper no. 22, from the series developed by the Center for Faculty Evaluation and Development, Kansas State University. Exhaustive and annotated review of the literature on student evaluation of teaching. Idea Paper no. 32, from the series developed by the Center for Faculty Evaluation and Development, Kansas State University. The purpose of this study was to examine the gender bias in student ratings of effective teaching. Students in five colleges were invited to rate instructors on three factors: interpersonal characteristics, pedagogical characteristics, and course content characteristics. We analyzed group differences based on student gender, instructor gender, and student level. Ratings of pedagogical characteristics and course content characteristics yielded significant interactions between student gender and instructor gender, but no differences were found among groups on interpersonal characteristics. We concluded that gender bias plays a role in students’ views of effective teaching in terms of how students evaluate pedagogical and content characteristics and that this bias generalizes across student levels. Designed to help pre- and in-service teachers plan, implement, and assess a manageable self-study research project, this unique textbook covers the foundation, history, theoretical underpinnings, and methods of self-study research. Author Anastasia Samaras encourages readers to think deeply about both the “how” and the “why” of this essential professional development tool as they pose questions and formulate personal theories to improve professional practice. Written in a reader-friendly style and filled with interactive activities and examples, the book helps teachers every step of the way as they learn and refine research skills; conduct a literature review; design a research study; work in validation groups; collect and analyze data; interpret findings; develop skills in peer critique and review; and write, present, and publish their studies. • A Self-Study Project Planner assists teachers in understanding both the details and process of conducting self-study research. • A Critical Friends Portfolio includes innovative critical collaborative inquiries to support the completion of a high quality final research project. • Advice from the most senior self-study academics working in the U.S. and internationally is included, along with descriptions of the self-study methodology that has been refined over time. • Examples demonstrate the connections between self-study research, teachers’ professional growth, and their students’ learning. • Tables, charts, and visuals help readers see the big picture and stay organized. American Association for Higher Education, Washington, D.C.
"Using the Mid-Course Assessment of Teaching to Connect Learning across the Curriculum"
One page TTR Teaching Tactic: take home writing prompts to get mid-semester feedback on the course while simultaneously helping students to make connections to their other courses. The Scholarship of Teaching: What's the Problem? An early demonstration of the value to teachers (and students) of writing the scholarship of teaching (SoTL) by defining a challenge to classroom learning, a “problem” to be investigated (much as we define a problem for our guild research to address) – in this case: learning goals and student pre-knowledge. Techniques for observing the classroom behavior of teachers and students are examined. These techniques provide a framework for analyzing and understanding classroom interaction, for making decisions about what should be happening, and for changing instructional behavior when it is necessary. The observation methods allow collection, analysis, and presentation of accurate, objective, useful, and persuasive data. Persuasive data contain no value judgments. One method is the selective verbatim technique, which involves having the observer record what is actually said within the confines of a category previously specified by the teacher. Some common categories for selective verbatim include: teacher questions, teacher responses to student statements, teacher directions and assignments, teacher responses to questions, verbal mannerisms, teacher reward and praise statements, teacher criticism, student responses to teacher questions, student questions, and student initiated statements. Examples are presented as illustration. A seating chart can be the basis for several types of informal records about the teachers' and students' classroom behavior. It is primarily used to measure nonverbal behavior, but it is sometimes useful for measuring verbal behavior. The basic element is a diagram, examples of which are included. Seating charts are useful for analyzing "at task" behavior: data indicating whether or not individual students were engaged in the task or tasks the teacher indicated were appropriate. A verbal flow chart is one way of analyzing how classroom procedures inhibit, encourage, or allow students to participate in classroom interactions. A list of common teaching activities and a technique for recording them for analysis is included. Effective teachers appear again and again to display certain characteristics, while ineffective teachers tend to make the same mistakes repeatedly. "Practice Talks Back to Theory: A Critical Reflection on Teaching"
The article is a reflection on what I perceive to be a confusion about the relation between theoretical judgments and judgments of pedagogical efficacy. My interest in the issue originated with my own confusion over persistent student resistance to certain assigned texts that I had initially felt confident would prove valuable in the classroom. The essay unfolds in three segments. In the first, I recount how this concern about the relation between theoretical judgments and judgments of pedagogical efficacy evolved out of my own teaching. I next list three tentative conclusions about the correlation or lack of correlation between theoretical judgments and judgments of pedagogical efficacy. In the concluding segment, I call for concerted resistance to the tendency of pure rationality to colonize the aesthetic and dramatic components of experience so essential to transformative teaching and learning. The EPAC Community of Practice provides a huge store of resources on electronic teaching portfolios, as well as a viritual community of webcasts, blogs, queries, and conferences. In university teachers’ hectic lives, finding space to reflect, restore, renew, and recommit can seem impossible. Jean Koh Peters and Mark Weisberg believe regular reflection is critical and have designed A Teacher’s Reflection Book to help teachers and other professionals find that space. Growing out of the authors’ extensive experience facilitating retreats and leading teaching and learning workshops, the book builds on their discoveries in those settings, supporting and promoting teachers’ self-directed development. Inviting that development, A Teacher’s Reflection Book is a cornucopia of stories, exercises, and examples that will inspire teachers to make reflection a cornerstone of their daily lives. With its multiple suggestions and strategies, it offers something for every reader, and is responsive to teachers’ needs at all stages of their careers. The book’s six chapters offer readers several perspectives from which to reflect. Some sections offer glimpses of teachers in the midst of their daily teaching lives, while others step away, inviting readers to reflect on what it means to have a vocation as a teacher. ch. 1 How Does a Teacher Say Hello? A. What Is the First Experience Students Have in Your Course? What Is Their First Experience in Class? B. What Are the Dispositions of Your Classroom? F. How Will You Deal with Fluctuating Student Attendance During “Shopping Periods”? G. What Will Be the Role of Technology in Your Classroom, and Will You Make Space to Express That in Your Hello? H. Will You Know Your Students’ Names? I. How Will You Handle Your Announcements? J. As You Begin, How Do You Want the Central Ideas of the Course to Emerge? II. Essential Elements of Reflection—What Makes Reflection Work for You? ch. 4 Who Are Our Students, and How and What Do They Learn in Our Classrooms? IV. What Can We Do to Facilitate Learning? ch. 6 How Does a Teacher Say Goodbye? Don't wait for an end-term course evaluation. Find out how your course is working in time to make improvements. A helpful checklist of good teaching practices, organized around Stanford University's standard course evaluation questions. "Peer Observation: Learning from One Another"
Thought and Action 16, no. 1 (2000): 9-20. Describes an approach to faculty development that relies on faculty learning from one another through peer observation. Rather than equating such observation with evaluating a colleague's performance, faculty observers are urged to approach the assignment as "students of teaching." "Looking for Good Teaching: A Guide to Peer Observation"
This observation guide lists 270 separate items, in checklist format, to be used for informal evaluation of classroom teachers by their peers. Items for observation are given for mechanics of teaching, scholarship, organization, classroom relationships, and miscellaneous teaching functions, as well as for preparation, topic choice, quality of interaction, quality of content and discussion, and method and efficiency of question-asking on the part of the teacher. What Makes a Great Syllabus? Actual students weigh-in on what they like and dislike in how a syllabus is constructed. A quick review of the concept and basic contents of a teaching portfolio, by Boston University's Center for Excellence and Innovation in Teaching. How Can I Better Communicate With Students Through Email? Advice from students on how faculty can best reach them through email. "Evaluating an Uncertain Craft: Faculty Assessment and Theological Education"
"Teaching Goals Inventory and Self-Scorable Worksheet"
Mid-course evaluations allow students to reflect on course goals and individual progress, inform the instructor about what is working or not working in the course, and recognize that the instructor cares about their learning experience. 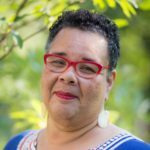 "Pedagogy and Social Justice: Race and Gender Bias In Higher Education: Could Faculty Course Evaluations Impede Further Progress Toward Parity?" "Guidelines for Presentation of a Teaching Portfolio"
"The Absent Professor: The Class Interview"
Grooters, Stacy, and Lanci, John R.
"Embracing Student Evaluations of Teaching: A Case Study"
Examines the author's teaching evaluations to help understand what they measure and how they may be used to make changes in classroom performance. States that teachers should view teaching evaluations as an opportunity to develop as teachers. "Developing an Effective Teaching Portfolio"
Discusses the development of an effective teaching portfolio. Selecting the contents; Developing profile; Objective of portfolios. "Preparing A Teaching Portfolio: A Guidebook"
A brief review and annotated bibliography on designing a teaching portfolio. Self-assessment of instructional goals to help faculty become more aware of what they want to accomplish in individual courses, locate Classroom Assessment Techniques they can adapt and use to assess how well they are achieving these goals, and provide a starting point for discussion of teaching and learning goals among colleagues. Informal student evaluations of faculty were started in the 1960's by enterprising college students. (1) Since then, their use has spread so that now they are administered in almost all American colleges and universities and are probably the main source of information used for evaluating faculty teaching performance. 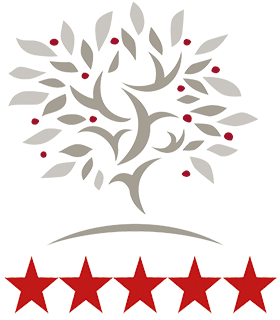 (2) There is an enormous literature on the subject of student evaluations of faculty (SEF). (3) The following is a summary of some developments in that literature that should be of special interest to faculty, with particular emphasis on criticisms of SEF that have emerged recently. But I begin with the arguments in favor of the use of SEF. "The Classroom as a Negotiated Social Setting: An Empirical Study of the Effects of Faculty Members' Behavior on Students' Participation"
Asserts that the relationship between students and faculty is the result of responses to a negotiated social setting. Reports on a study of 132 college students on factors that might affect class participation. Offers four recommendations for faculty to encourage student participation and responses to questions. Student evaluations of teaching are a common fixture at American law schools, but they harbor surprising biases. Extensive psychology research demonstrates that these assessments respond overwhelmingly to a professor’s appearance and nonverbal behavior; ratings based on just thirty seconds of silent videotape correlate strongly with end-of-semester evaluations. The nonverbal behaviors that influence teaching evaluations are rooted in physiology, culture, and habit, allowing characteristics like race and gender to affect evaluations. The current process of gathering evaluations, moreover, allows social stereotypes to filter students’ perceptions, increasing risks of bias. These distortions are inevitable products of the intuitive, “system one” cognitive processes that the present process taps. The cure for these biases requires schools to design new student evaluation systems, such as ones based on facilitated group discussion, that enable more reflective, deliberative judgments. This article draws upon research in cognitive decision making, both to present the compelling case for reforming the current system of evaluating classroom performance and to illuminate the cognitive processes that underlie many facets of the legal system. Part I: An Overview of Peer review. ch. 1 Developing a rationale and Understanding of Peer Review. ch. 2 Setting Up a System for Peer review. ch. 3 Major Design Elements of a Peer Review of Teaching System. ch. 4 Roles and Goals of a Peer Review System. Part II: Resources and Forms. ch. 5 Peer Review of Course materials. ch. 8 Leadership for Teaching: Contributions to Scholarship of Teaching and Departmental Teaching Efforts. Guidance on the process of university peer observation, with a selection of instruments that faculty and department can adapt for assessment of teaching. By the University of Texas at El Paso. Interpreting student ratings of instruction can be challenging, but these guidelines and suggestions will help you extract useful information from your student ratings. This SUNY Albany site considers, the role of peer observation of teaching in both formative and summative assessment, developing a departmental plan, and choosing or designing an instrument to guide peer observation (including downloadable forms). An assessment tool for teachers to determine the “dominant” perspectives in their teaching. Can help teachers understand and summarize their own ideas about teaching. Provides a structured and practical model that combines inquiry into the intellectual work of a course, careful investigation of student understanding and performance, and faculty reflection on teaching effectiveness. This website is designed to serve as an international repository for course portfolios written by faculty who teach at postsecondary institutions. While student ratings of instruction (commonly called course evaluations) are usually seen as a form of summative evaluation of a course and an instructor, they can also be used to improve a course and an instructor’s teaching. "Teaching in Action: Criteria for Effective Practice"
This podcast series includes interviews with BYU faculty as well as excerpts from invited speakers. We offer them in multiple formats to make it easy to watch and listen at work, home, or on your iPod. You might even choose to use a clip from one of the presentations in your teaching. Student ratings of instruction are hotly debated on many college campuses. Unfortunately these debates are often uninformed by the extensive research on this topic. "Reviewing Faculty Competency and Educational Outcomes: The Case of Doctor of Ministry Education"
This research report interprets data from a 1902 survey of directors of Doctor of Ministry (D.Min.) programs regarding the competency of faculty members viewed through the interpretive lens of peer review. According to directors, faculty members are more competent in teaching theological reflection than in teaching social science methods, despite the expectation that such methods are part of D.Min. education. The article discusses implications of the data for improving faculty performance, and suggests how the concept of critical friendship might assist those who teach in religious studies to give and receive criticism from peers. The article concludes with suggestions for further research in D.Min. education. 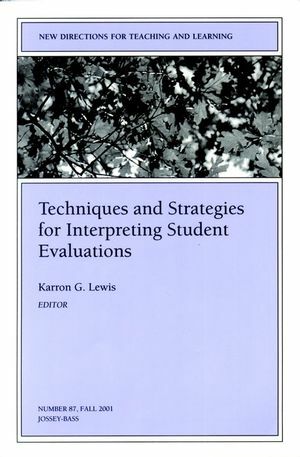 "Preparing for Peer Observation: A Guidebook"
EDITOR'S NOTES (Karron G. Lewis). ch. 2. Encouraging Your Students to Give Feedback (Marilla D. Svinicki). ch. 3. Making Sense of Student Written Comments (Karron G. Lewis). ch. 4. Using Midsemester Student Feedback and Responding to It (Karron G. Lewis). ch. 5. Use of Electronic Tools to Enhance Student Evaluation Feedback (Devorah Lieberman, Nancy Bowers, David R. Moore). ch. 6. Taking Student Criticism Seriously: Using Student Quality Teams to Guide Critical Reflection (Larry Spence, Lisa Firing Lenze). ch. 7. Making Sense and Making Use of Feedback from Focus Groups (Richard Tiberius).
. ch. 9. Interpreting the Numbers: Using a Narrative to Help Others Read Student Evaluations of Your Teaching Accurately (Jennifer Franklin). "Some Resources on Student Evaluation of Teaching"
"Assessing Student Perceptions of Inappropriate and Appropriate Teacher Humor"
If you're like most instructors, this is a question that you've asked yourself many times. That's why Weimer, Parrett, and Kerns have compiled this guide–so it's easier to get the answers that you need to this crucial question. Section 4 How Do You Teach? Presents the teaching philosophy of a Columbia University assistant professor who has learned to win good evaluations from his students. Opinion that, as of January, 2001, colleges are following a business model which allows parents and students to think of courses as services; Statement that instructors need to teach the teachable and please the unteachable, in the interest of getting high ratings. 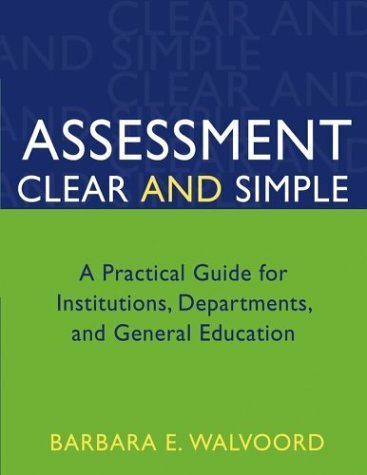 Reviews the importance of departmental evaluation of teaching and provides an overview of options for putting an evaluation process in place. References and appendices with real examples of evaluative forms and processes. Idea Paper no. 36, from the series developed by the Center for Faculty Evaluation and Development, Kansas State University. Abstract: In order to make appropriate changes to improve your teaching and your students’ learning, first you need to know how you’re teaching now. Figure it out for yourself and invigorate your teaching on your own terms! Knapper, Christopher and Patricia Cranton, eds. 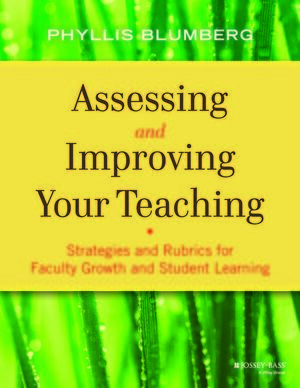 Written by experts in teaching and administration, this guide offers practical, research-based information for faculty members and administrators in search of new approaches for assessing and improving faculty potential. By recognizing that faculty evaluation can be a difficult, time-consuming, and costly process, the authors of Evaluating Faculty Performance have distilled existing evaluation practices into useful recommendations for strengthening the overall system.